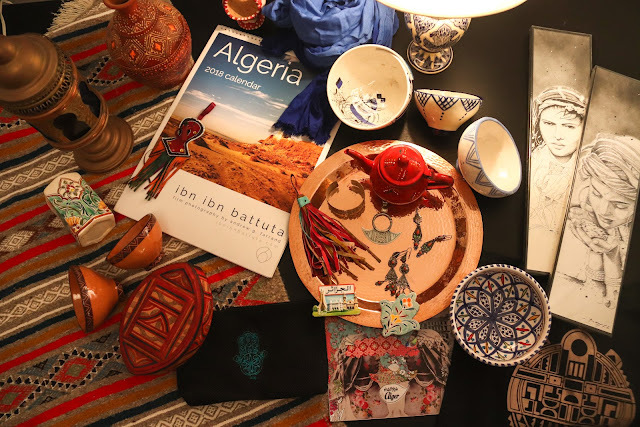 Given its breadth and the diversity of influences on its heritage, Algeria has some solid offerings when it comes to traditional arts and handicrafts. Woven blankets, leather boxes, or simple terra cotta pottery make great practical gifts, while the Berber carpets, handmade traditional gowns, silver jewelry, and ceramic tiles are second to none. Hand-carved cedar trunks aren't easy to haul home, but are stunningly beautiful—especially for those who can find (and afford) an authentic antique, though the recent models are impressive too. Don't neglect Algeria's antique stores, which are treasure troves of abandoned colonial-era wonders, much of it in a gaudy Baroque style. (In Algiers, check out the great brocante shops in Telemly.) Old records from Algeria's glory days of the 1970s make a unique gift, especially in funky album covers. And there's digital music available at CD shops nationwide, from classic chaâbi to raï to Touareg blues. Nobody makes better traditional caftans, karakous, and other women's outfits than Menouba, the best destination for Algerian haute couture. Though it's based in Algiers, you're as likely to see it on Paris runways as in Algeria proper. For gorgeous hand-woven carpets in traditional Berber patterns and vegetable-dyed wool, Ghardaia is the place. If you can't make it there yourself, track down Mahfoud Benslimane, who sells Ghardaia's famous carpets—all woven by local women—at artisan fairs across the world. One of my favorite recent discoveries is Trico82, which reproduces classic Algerian football/soccer jerseys for sale online and in sport shops around town. An awesome classic gift! 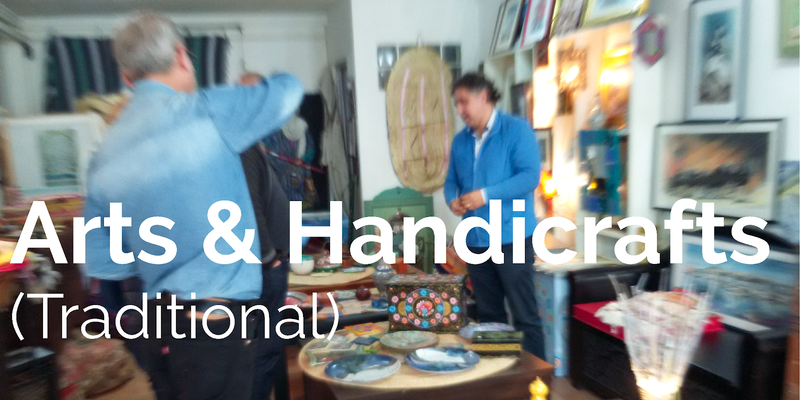 Boumehdi and Samir Hemiane are two of the most renowned ceramics makers in Algiers, and both are located in Kouba. Cadeau-Artisanat in Paradou (pictured above), run by the all-knowing gallerist Nacer, and Couleurs et Patrimoine in El Biar both have an eclectic selection of handiwork. Kabyle jewelry from Tizi Ouzou and Bejaia and Touareg silver from Tamanrasset and the wider Sahara are certainly the most iconic Algerian jewelry styles, and are not to be missed. 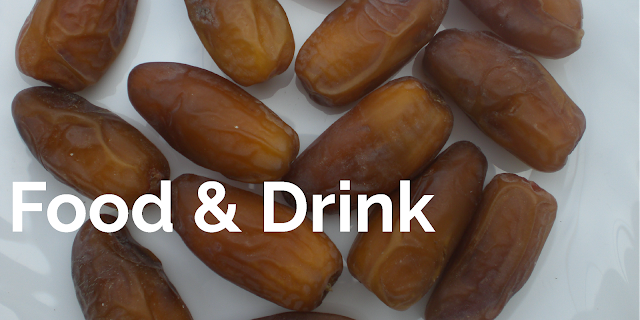 Find them in their regions of origin for the best selection and prices. The most recognizable artwork celebrating classical Algerian heritage comes from Farid Benyaa, who maintains a gallery in Bir Mourad Rais, Algiers, and also sells online for international customers. 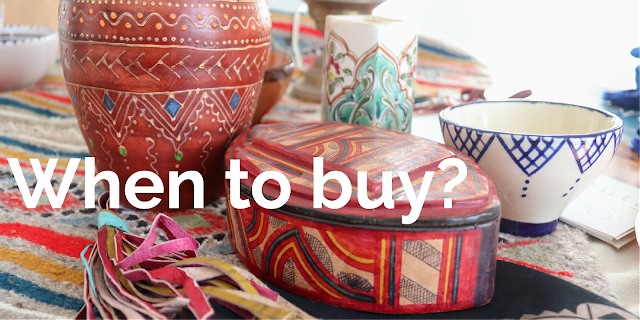 Visit the Casbah of Algiers for hand-painted boxes and woodwork. Peruse the roadside pottery shops all around the periphery of Algiers for beautiful traditional terra cotta and ceramics. Constantine is known as the best destination for brass and copper work; check out the city's small old quarter, or souiqa. Last but not least, someday soon I'll get myself organized and actually start selling my film photos of Algeria. Stay tuned here on the blog! My favorite in this category, Raji Collections, has consistently sold some of Algeria's coolest and most creative pieces since launching in 2012. The owner, my friend Hana, also sells pieces from her own fashion line at the Raji shop in Ben Aknoun, Algiers. And for clients outside Algeria, check out Raji's website for international sales and info on their Paris pop-up events! The breakout brand Brokk'art, and its home in the elegant Issue 98 boutique on Rue Didouche Mourad, Algiers, (pictured above) are run by interior designer and graphic artist Hania Zazoua, a.k.a. Princesse Zazou. Issue 98 showcases an exciting array of contemporary artists alongside more commercial pieces, and is deservedly becoming a leader in this category. Just last month, a brother-sister pair of gallerists launched Medina Mood, which offers a rotating mix of classic and contemporary interior decor pieces at its boutique in Hydra. Definitely worth discovering! Hassiba Boufedji's La D'wira Chic was an early entrant in this contemporary category, paving the way for others but waning in popularity owing to particularly high prices. Nonetheless, the brand's shops in Telemly and the Aurassi Hotel are worth perusing. Etniz is working hard to solve Algeria's maddening distribution problem by connecting artisans to customers via online ordering and delivery service—hardly a revelation anywhere else, but a substantial improvement in Algeria, where e-commerce remains a foreign concept. 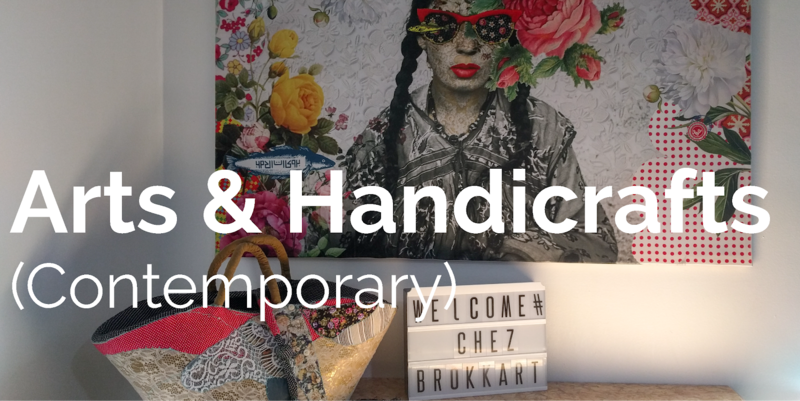 Bodo Creations makes amazing screen-printed canvas and leather bags, and G-Lay Productions offers a refreshing mix of local and international motifs embroidered on bags and pouches. 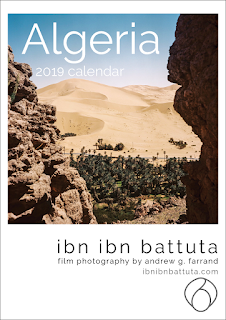 My friend Adlène is a bum and you should definitely not purchase his calendars, postcards, coasters, bookmarks, or other tasteful gifts featuring superb photography, all sold under his brand Les Corsaires Associés! Mohamed Belaid (ceramics) and Mounia "Mya" Lazali (painting) are two of Algeria's most talented artists. They each sell their work individually through personal contacts and limited gallery shows. I hear good things about Artisane by Selima (in Hydra, Algiers), Art'Kadji clothes with an African touch, El Kahina and Boho for chic women's apparel, Allalou calligraphy, remixed Berber designs from Taszuri Creations, and macramé jewelry from Le Monde de Coco. It's an open secret that Algeria's state-run galleries are universally lousy, but several private ones are doing their best to fill the void. First among these is Al Marhoon Gallery, which owner Amal Rougab has built into the leading local venue for Algeria's few internationally renowned artists. (She is also preparing a pop-up shop beside the gallery in Said Hamdine, Algiers.) Other great private galleries in Algiers include Seen, Espaco, Les Ateliers, Les Ateliers Bouffée d'Art, and Sirius. Outside the capital, Oran has the most developed contemporary arts and design scene, with several new boutiques opening in recent years, including Yasmine & Fell Concept Store, San3a Boutique, and B&C Gift. I haven't visited them yet, but I hear great things! 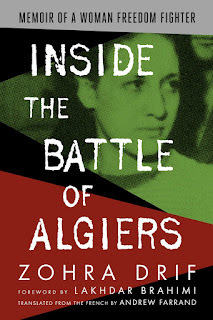 Books are one of my favorite Algeria-themed gifts—both to give and to receive. 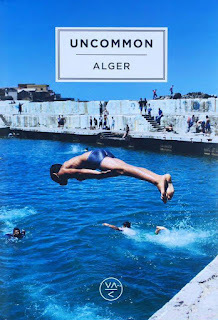 Algeria has a rich (if restrained) literary scene, and its natural splendor lends itself naturally to amazing photography, which is captured in many striking coffee-table books. 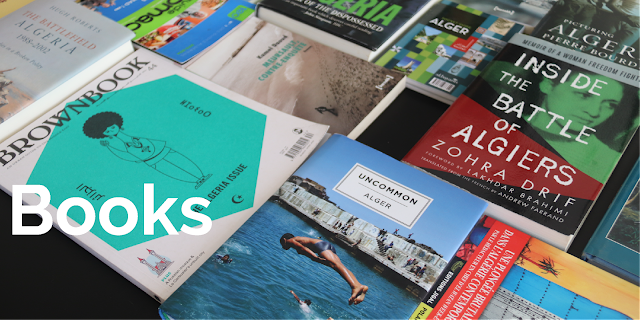 Books on Algeria are also some of the gifts that are easiest to find outside the country via most online booksellers. Food products are some of my favorite Algerian gifts to give, especially deglet nour dates from Biskra, wild mountain honey from Kabylie, and some of the nice wines from the west. (Algeria may not be the world's largest wine exporter anymore, but it still produces some solid vintages; I recommend Cuvée du Monica.) Jams and olive oil make nice gifts, too. Everyone who tries them loves Algeria's traditional cakes, though traveling with them requires care. Alternatively, try sweet djouzia nougat treats, an Ottoman-era delicacy still made proudly in Constantine. Finally, a bottle of Selecto always makes a unique and funny gift for foreigners or for Algerians abroad who miss their homeland! Several enterprises have sprung up in recent years selling local food and organic products online in Algeria: try Maison du Terroir or Bahja Made in Algérie. Each spring, Algeria's national handicrafts office organizes an "international" fair (read: a handful of Malians, Moroccans, and Tunisians are invited) at the SAFEX pavilions with a very wide selection of Algerian products. VISUart also organizes artisan product fairs periodically at the Sofitel Hotel and the Palais Moufdi Zakaria, which is managed by the Ministry of Culture. Outside Algiers, regional festivals make for great buying opportunities. The Sbiba in Djanet each fall and Kabyle jewelry festival each summer in Ath Yenni (Tizi Ouzou) are popular, though nearly every region of Algeria has its own. Finally, there are periodic special events in Algiers like Souggensa, which is holding its 6th edition today in Hydra. I will be there selling calendars. Come! Did I forget any great gift options or shopping destinations? Feel free to share your recommendations in the comments!